A moment captured in a split second can be interpreted in so many different ways !! what do you think is happening here ? 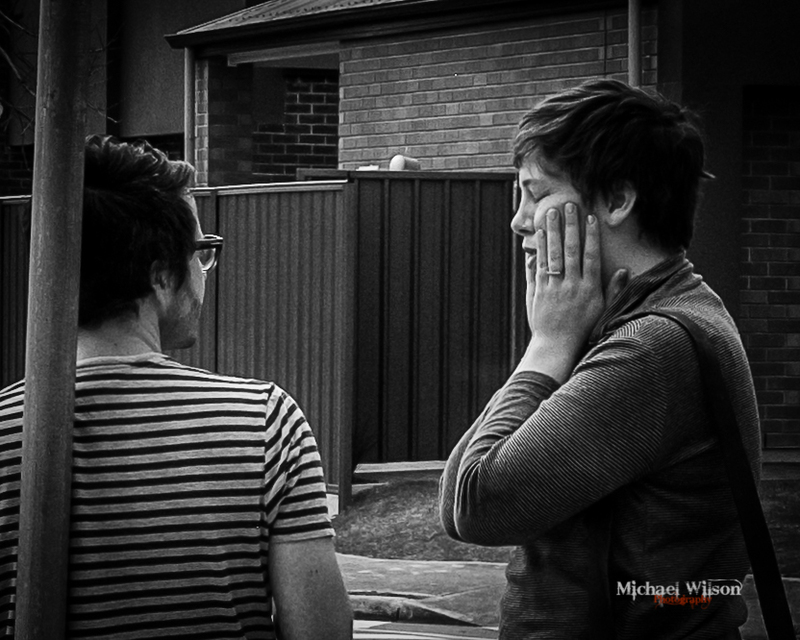 This entry was posted in Photography and tagged Adelaide, Adelaide Street Photography, black & white, everyday occurrence, Life, Lightroom, People, Photography, Silver FX Pro, South Australia, Street Photography. Bookmark the permalink. She’s wishing she hadn’t had that last glass of wine, her head hurts. Love the Donald Trump comment!